When first launching the program, you will be asked for your Yandex.Direct username and password. 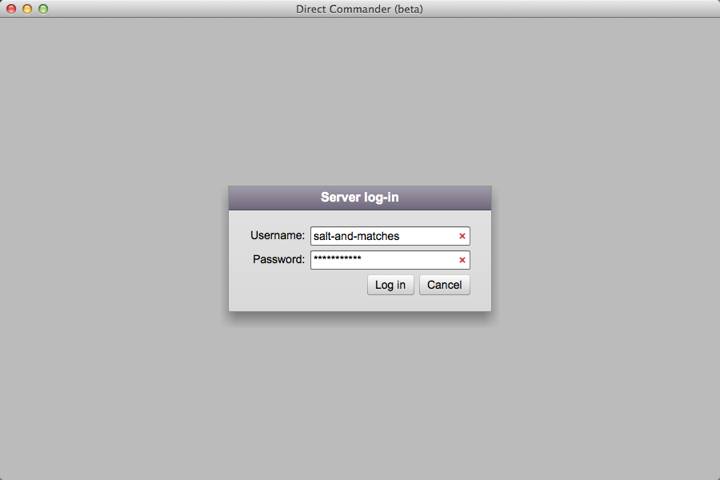 After signing in, all Commander panels are empty since data from the Direct server has not been received yet. 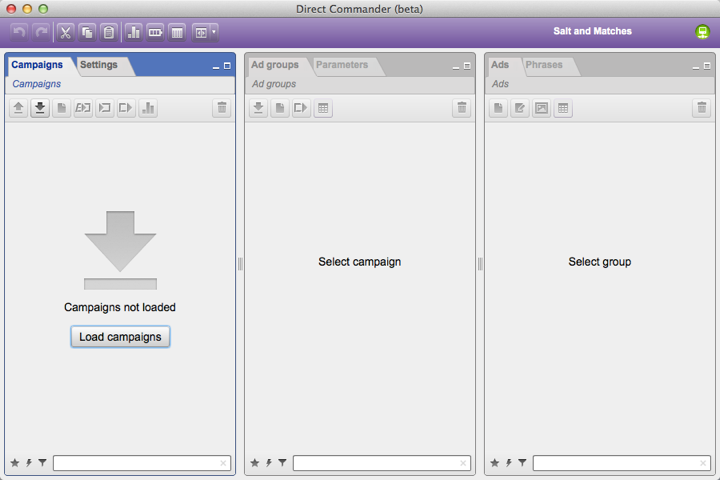 Click Load campaigns. 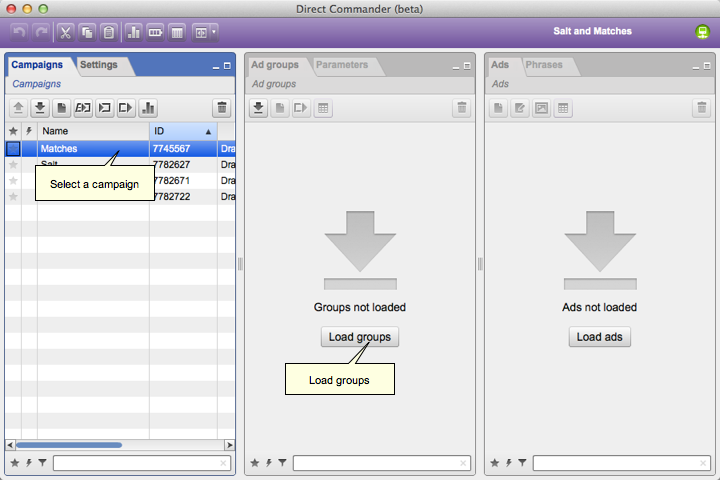 After this, select the ad campaign and click Load groups.